This is a 6x6 set of hotpads. They are made with 3 inside layers making it a total of 5 layers. 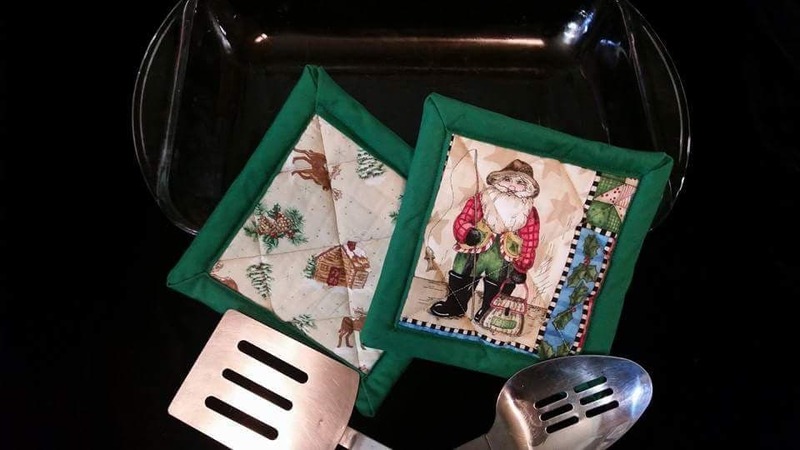 Each hotpad has a different Santa on it, one has Santa with his fishing pole and the other is a Christmas tree and Santa in his toy making apron. The backsides are done in a tan fabric with snow covered trees, cabins and reindeer. They are edged in a Christmas green.